Streets of New York, one of the oldest family-owned pizza chains in Arizona, commemorates its 40th anniversary with the 40 Days of Streets celebration. It includes prizes and special dining offers October 4 through November 12, 2016 with a portion of the proceeds from the 40th anniversary special benefitting Make-A-Wish Arizona. The restaurant chain, as we know it today, was the brainchild of Bernd Glaeser, a master pastry chef from Dresden, Germany, who immigrated to the United States in 1959 and joined the U.S. Army. He later met and married Lorrie, the current president and owner of Streets of New York. Once arriving in Arizona, Bernd worked to formulate a special recipe for pizza dough, and together they created the business plan and menu that is now Streets of New York. The first store opened on October 29, 1976 at 32nd Street and Cactus Road. Forty years later and with 26 locations including two in Prescott and two in Las Vegas, plus partnerships with the Arizona Diamondbacks, spring training at Salt River Fields, the Phoenix Suns, the Phoenix Mercury and ASU football, Streets of New York has remained a household name in the Valley. 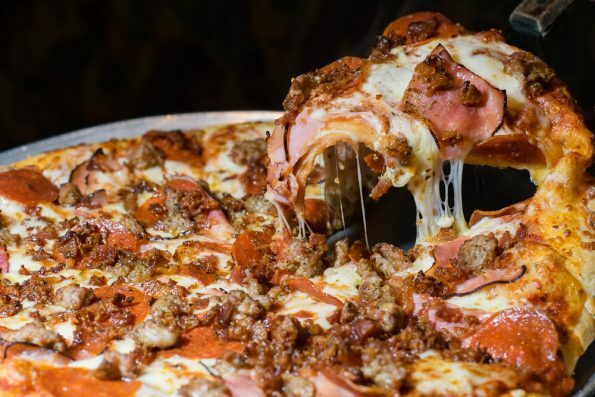 The charity will receive a portion of the sales from the “40th Anniversary Weekend Special” (Friday through Sunday), which is a 16” cheese pizza and 24 baked chicken wings for $20.00, as well as $1.00 for each person who enters the campaign. The goal is to raise a total of $5,000.00 to benefit the Make-A-Wish charity. A trip to New York City for two to cheer on the Phoenix Suns vs. the New York Knicks on January 21, or the Brooklyn Nets on March 23. Round-trip airfare, lodging for 4 days and spending money are included. *In the spirit of harkening back the pricing of the 1970s, the pizza chain will also be offering 76-cent slices of cheese pizza from 12 pm – 5 pm on October 19, 2016 at participating locations. 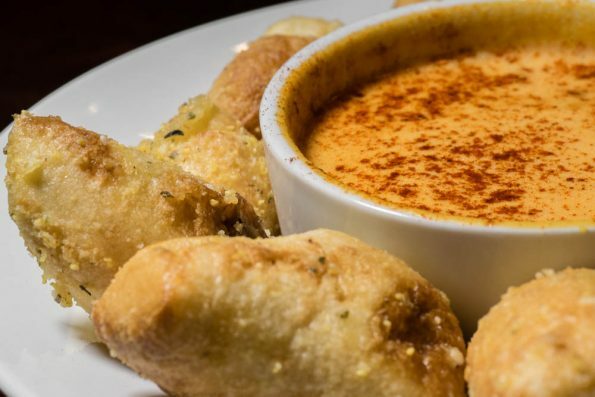 Celebrating 40 years of business, Streets of New York is a family-owned restaurant group, which started with a single Phoenix location in 1976. Now boasting 26 restaurants throughout Arizona and Nevada, Streets of New York has built its reputation on consistently serving food prepared with the highest quality and freshest ingredients. Over the years, Streets of New York guests have come to enjoy its authentic New York pizza, pasta, calzones, salads and subs. For more information, visit www.streetsofnewyork.com. Make-A-Wish® Arizona is the founding chapter of Make-A-Wish, the world’s largest wish-granting organization which grants the wishes of children with life-threatening medical conditions to enrich the human experience with hope, strength and joy. With the help of generous donors, Make-A-Wish Arizona grants more than 365 wishes annually. For more information, visit www.arizona.wish.org to discover how you can share the power of a wish®.